The double bass as a solo instrument is increasing finding its place in the musical world. Great players are actively promoting the instrument. More and more composers see the amazing character and possibilities of the instrument and are writing for double bass. Rick: ‘I try to make this a big part of planning my solo concerts and recordings. Next to playing our standard solo concerto repertoire, it’s extremely exciting if an orchestra, festival or concert organisation commissions a new concerto or chamber work. Playing new works, or even have them composed for me personally, has brought me in contact with composers such as Michel van der Aa, Martijn Padding, Britta Byström, Jesper Nordin, Ned Rorem, Johannes X. Schachtner, Louis Andriessen, Ferran Cruixent, Gerald Resch, Brett Dean and Dejan Lazić. Witnessing the creation of a new work is one of the best experiences I have had. 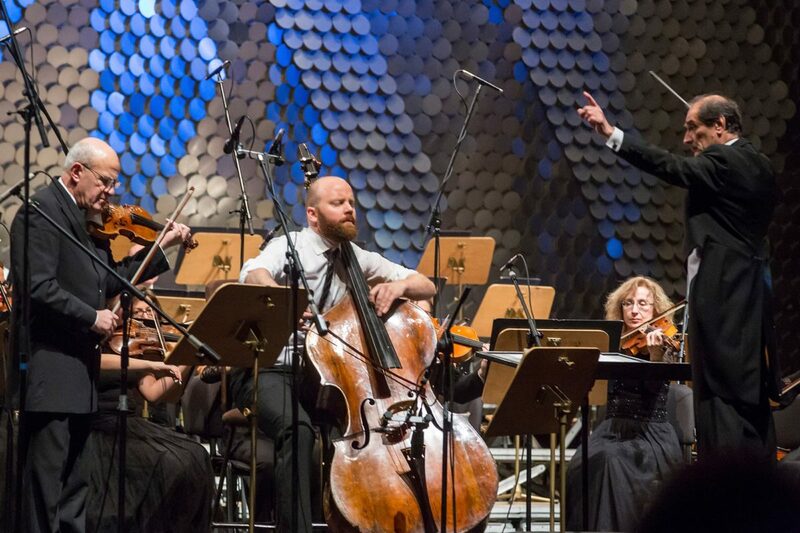 The header image shows the world premiere performance of Britta Byström’s Infinite Rooms: a double concerto for violin and double bass (2018). Malin Broman (violin), Rick Stotijn (double bass), Swedish Radio Symphony Orchestra conducted by David Afkam. 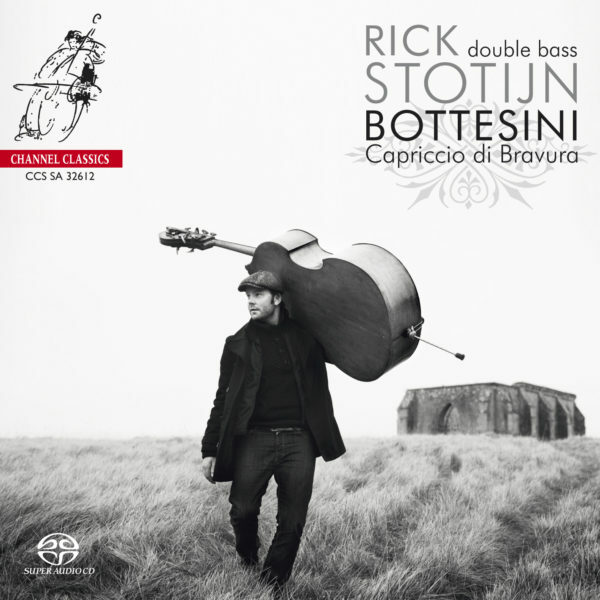 Rick Stotijn received the most prestigious Dutch state prize for classical musicians, the Dutch Music Prize, in 2013. Soon, he was invited to give many solo performances home and abroad. At the Concertgebouw Amsterdam, he was offered a Carte Blanche series of four concerts. Rick played solo concerts with orchestras such as Swedish Radio Symphony Orchestra, Amsterdam Sinfonietta, Joensuu City Orchestra, Toulon Opera Symphony Orchestra, Musica Vitae Sweden, Västerås Sinfonietta, Rotterdam Chamber Orchestra, O/Modernt, Arnhem Philharmonic Orchestra, South Netherlands Philharmonic Orchestra, Residentie Orkest The Hague and the Radio Philharmonic Orchestra. Martijn Padding’s ‘Reports from the Low Country’ for double bass solo and orchestra (2015). Dedicated to Rick Stotijn and the Radio Philharmonic Orchestra. Performance conducted by James Gaffigan at the Concertgebouw Amsterdam, in April 2016. Bottesini’s Gran Duo Concertante with Mintcho Mintchev and the Bulgarian National Radio Symphony Orchestra, conducted by Emil Tabakov.